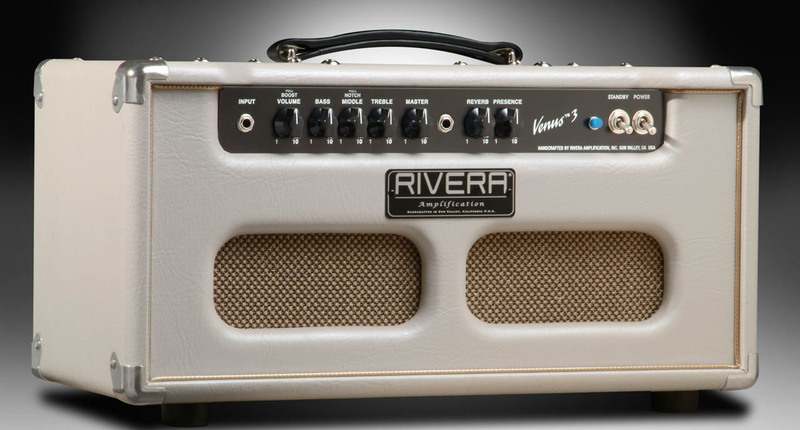 The Venus 3 is Rivera's low-wattage tone monster!! 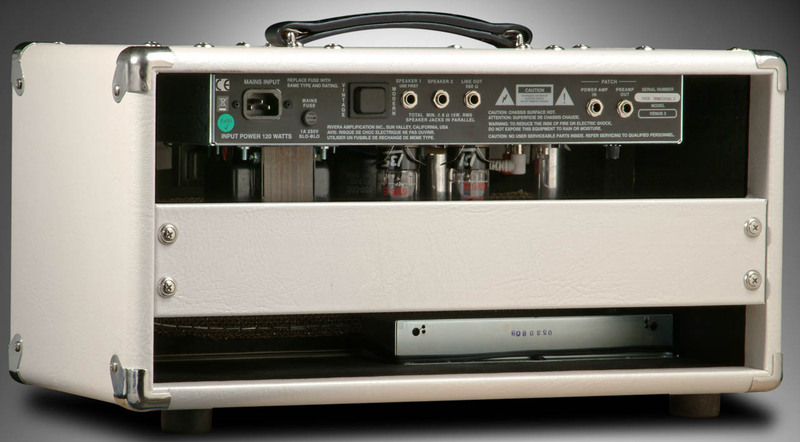 Featuring 15/7 watts of 6V6 class A tone with Foot-switchable and adjustable gain boost. Perfect to get that power amp breakup at lower volumes. 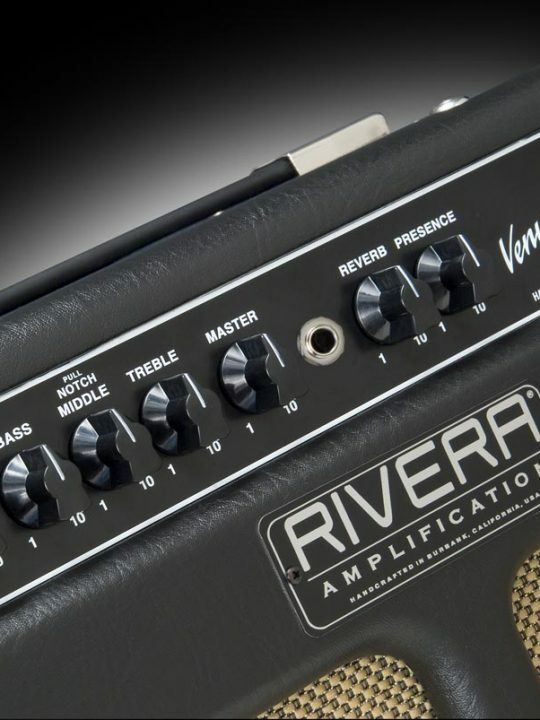 Venus™3 is a compact and lightweight master of tone. 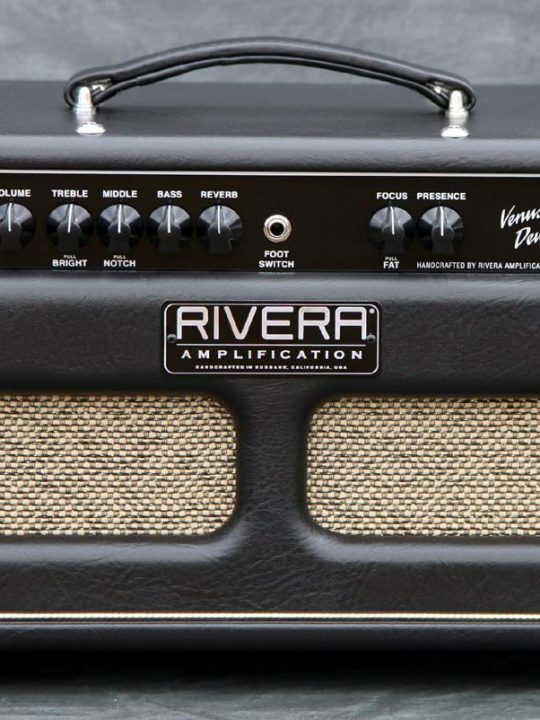 Easy to use, with the simplicity of a single channel with footswitchable & adjustable gain boost, 3 band equalization controls and the trademark Rivera Notch switch to choose between vintage tweed, and vintage black face tones. 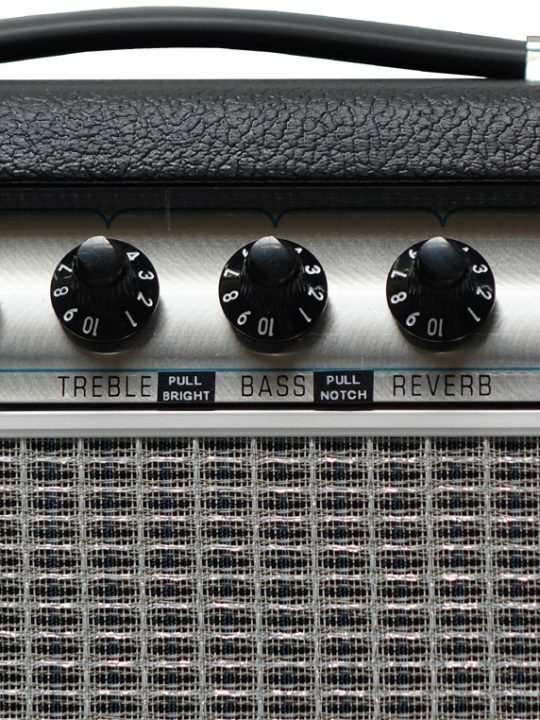 With two12AX7 tubes, great headroom for clean playing is easily dialed- in, and with the push-pull gain boost feature the available gain and distortion will allow sustain for days. Every nuance of your note will enveloped in a rich harmonic sweetness that the 15 Watt 2-6V6GT Class A power amp section delivers our Celestion G12H-30 Venus 1×12 extension or your favorite cabinet. Although the Venus™3 is compact, it is huge on sound and you will be amazed at how much clean bottom end warmth can be found, regardless of speaker size. Add spaciousness and long lush decay to your instrument with the built-in Accutronics 3 spring reverb. A Presence control adds the final touch of high end brilliance. Power and Standby switches as well as the pilot light are conveniently located on the front panel. 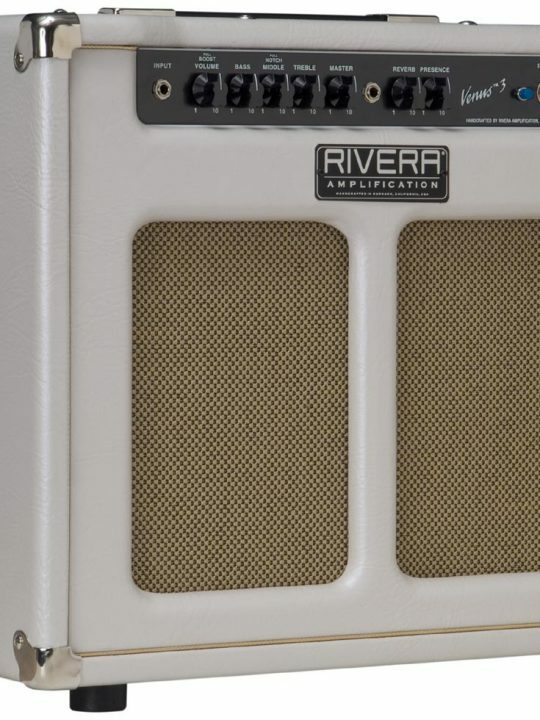 Our Rivera Vintage-Modern switch on the rear panel allows the power to be cut down to 7 watts from 15watts while enhancing the even order harmonics, making it indispensable for low volume recording and practice. Two speaker jacks allow connection to the internal as well as external speakers. 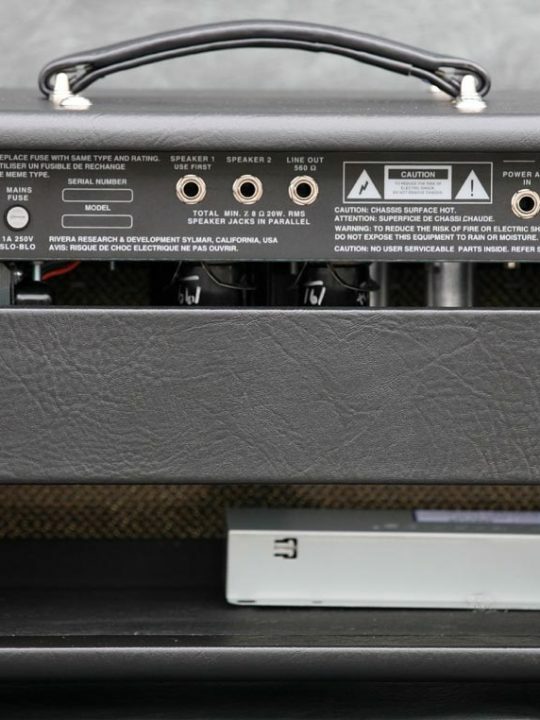 A Line Out jack gives you the option of slaving another amp or recording directly from power amp signal that is at line level. Effects loop patching is rapid with Preamp Out and Power Amp Input jacks provided as well. The Venus 3 is available in Pearl White or Black with gold Grill cloth. Also available as a 1×10 or 1×12 combo.